Anirban Lahiri who has already won twice this calendar year on co-sanctioned events in Malaysian Open and Hero Indian Open, is now into the 'elite' zone having played at each of the last four Majors and World Golf Championships. From a rising golfer to almost sealing his Asian Tour Order of Merit, Anirban Lahiri has come a long way in the last 12 months and the Indian ace admits there has been a change in focus even as he gears up to tee off at the WGC-HSBC Champions starting on Thursday. The 28-year-old World No. 39, who has already won twice this calendar year on co-sanctioned events in Malaysian Open and Hero Indian Open, is now into the 'elite' zone having played at each of the last four Majors and World Golf Championships, besides an appearance at the Presidents Cup and a fifth place at the PGA Championships. The WGC-HSBC Champions will feature close to 40 of the world's top 50 players including world number two Jordan Spieth, world number three Rory McIlroy, and fellow top 10 stars Rickie Fowler (5) and Henrik Stenson (7) as well as defending champion Bubba Watson (4). Lahiri said: "Obviously my focus has changed over the last few years. Last year when I was here, it was very important for me to play well in this event because it was one of my first WGCs, and I was playing here for the first time. "I've come back 12 months later having played every other WGC, won twice, got my card in America, and suddenly this event becomes critical for me in terms of how I reshuffle my schedule for America and my world rankings going into the end of the year," he added. Lahiri finished tied 28th at the WGC-HSBC Champions last year but with the merit title almost in his hands, he is channelling his energy towards producing another fine showing -- one that reinforces his status as one of Asia's best players. "I'm really happy with the position I'm in. Having finished third and second the last two years, it would be great to get over the line (for the Order of Merit)," he said. "It looks likely right now but it would be a wonderful thing when and if that happens. I'm feeling positive and mentally there's no lack of motivation as there's a lot to play for," said Lahiri. The other Indian in the field, SSP Chawrasia, who narrowly missed keeping his European Tour card, is also in the field by virtue of being fourth on the Asian Tour Order of Merit. "Anirban has been fantastic over this last year and it has brought focus onto Indian and Asian golf. We are all getting motivated by what he has achieved and what he is likely to achieve more," said Chawrasia. 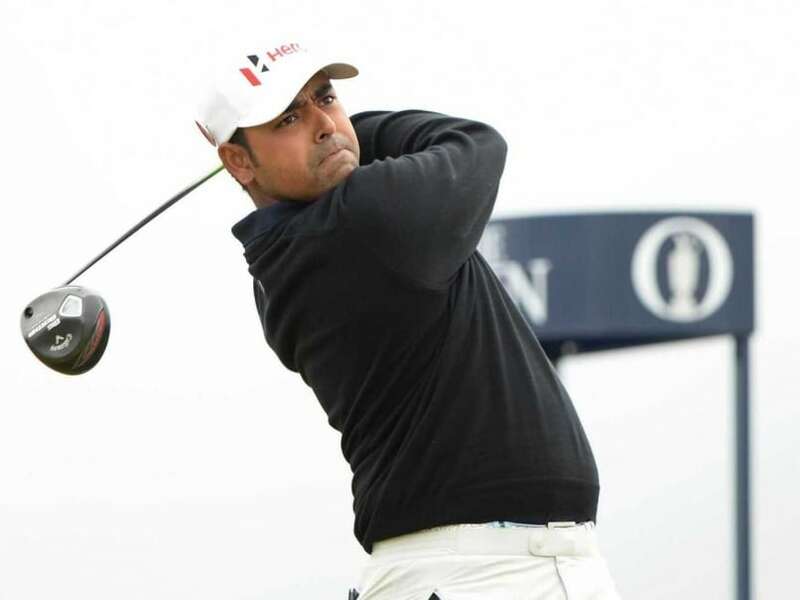 "Yes it is a big opportunity for me to play with the best in the world and I know if I can play to my potential I can do well," said Chawrasia, who finished 113th on European Tour's Race to Dubai. Meanwhile, Thailand's Kiradech Aphibarnrat is looking forward to settling his 'unfinished' business when he makes his return to the WGC-HSBC Champions after a two-year absence. Kiradech's last appearance at the Shanghai showpiece ended with him finishing tied-55th in 2013 but he is now returning to the Sheshan International Golf Club in the best of form. The 26-year-old has won twice in China and Scotland this year and broke into the world's top 50 for the first time in his career. He was also in contention in Turkey last week but had to settle for third place. "It was a little disappointing as I couldn't get the job done in Turkey last week but hopefully it'll be a different story this week. I'm playing very well at the moment and it's important I take advantage of my good form here," said Kiradech, a former Asian Tour number one.